OKIDATA COREFIDO: Savings. Simplicity. Support. 60 months of protection—parts and labor, including transfer belt and fuser replacement—with on-site expert repairs nationwide, and a recycling program that’s easy and eco-correct. All for FREE! At OKI Data, we’re committed to providing customers with award-winning technology and unmatched service and support. It’s this commitment that led to the development of the value-added service and warranty program called COREFIDO. 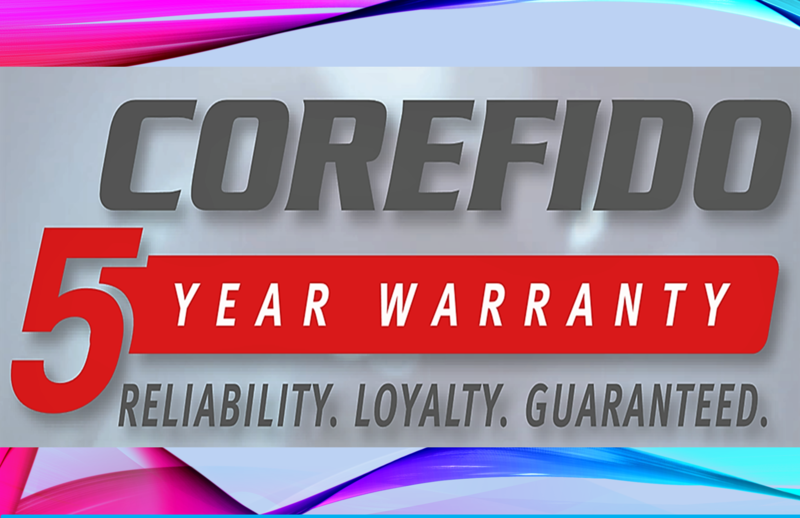 COREFIDO’s central offering is a FREE upgrade from the standard 12 months of service to a full 60 months of on-site service – including parts and labor – for registered eligible devices. It also includes a recycling program for Genuine OKI consumables, transfer belts and fusers, that’s free and easy to participate in. 60 months of free on-site repairs — extended coverage from 1 yr. to 5 yrs. at no cost to you Free parts and labor — no out-of-pocket expenses National service support — easy-to-schedule, punctual repairs by expert technicians By eliminating service and maintenance costs over five years, COREFIDO can dramatically reduce the total cost of ownership (TCO) of your OKI printer or MFP’s while improving the bottom line of your overall document printing fleet. And not having to worry about service issues also means you can concentrate on your core business. 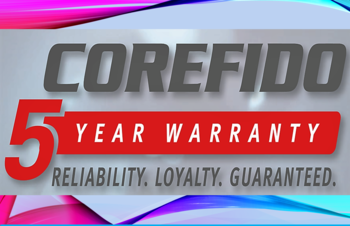 To qualify for the 5-Year COREFIDO Warranty program, you must register your eligible OKI device within 90 days of purchase. COREFIDO is available on a wide array of OKI products including A4 and A3 mono and color devices. All of the COREFIDO eligible devices include OKI’s highly reliable LED Technology. Take advantage of the COREFIDO promise with these advanced OKI products. A3 Color MFPs - All the MFP productivity features you want, in a compact, environmentally friendly A3 device. A3 Color Printers - Tabloid/A3 Color Printers with compact design, media versatility and incomparable print quality.